Fluoride is an essential mineral resource for all children. It helps them to develop strong teeth and bones. Of course, children always seem to love to eat and drink sugary foods and drinks. This often leaves behind acids which hurt the tooth enamel of children. In order to protect the teeth from damage, fluoride works to reverse the signs of decay and as well protect it. However, a high rate of fluoride in the children’s teeth can result in dental fluorosis. Simply put, fluorosis is a drastic change in the physical appearance of the tooth’s enamel surface. Most common events of fluorosis don’t affect the functioning of the teeth and likewise, cause no pain. Dental fluorosis is generally mild or very mild. Mild fluorosis appears as white, lacy marks on the tooth’s enamel and is quite uneasy to see with ordinary eyes. As indicated earlier, excess fluorides cause fluorosis. Hence, fluorosis is caused by consuming fluoride in excess over a considerable long period of time when the teeth are developing before they appear in the mouth. Usually, this takes place before the age of eight years old. How do you avoid this? Monitor and supervise your children’s brushing and ensure they don’t use too much toothpaste, mouth rinse or mouthwash. Also, teach them how to spit, not swallow. 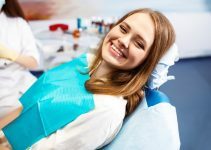 Get more information on Dental Fluorosis at the Centers for Disease Control and Prevention (CDC). Generally, there are many factors that cause changes in the appearance of the teeth. So, in case you notice changes in the physical appearance of your teeth, you may not be able to conclude on whether it is fluorosis or not. Therefore, in such a case, you may need to visit a pediatric dentist for a professional diagnosis. Likewise, the American Academy of Pediatrics recommends that all children should pay a regular visit to a dentist starting from the age of one. This will ensure that proper checkups are made and follow-ups are done when necessary. If you or your loved one is having the feeling that one or all of the children is affected with fluorosis, it is high time you visited a professional pediatric dentist for a proper check up and diagnosis. If you are looking for a professional and licensed pediatric dental facility, contact us today!